Get the lawn chairs and blankets ready because the Pops are back! 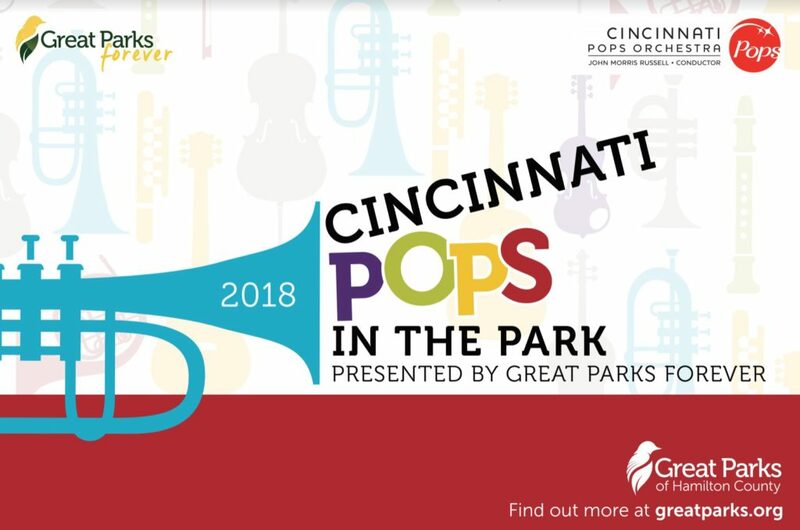 Cincinnati Pops in the Park is presented by Great Parks Forever. The free concert at Miami Whitewater Forest is Saturday, June 23 at 8:15 p.m. The natural beauty of Miami Whitewater Forest provides the perfect backdrop for a summer evening concert. Led by an upbeat and engaging conductor, John Morris Russell, the Pops performs songs from across musical genres appealing to kids, and kids at heart. Make a day of it with friends and family. Paddle, hike, fish, golf, picnic, and more, then top off the day with Cincinnati Pops in the Park. For more information, visit GreatParksForever.org/events. About Great Parks Forever: Great Parks Forever, the philanthropic partner of Great Parks of Hamilton County, translates an early conservation promise into everyday experiences and lasting legacies. We are proud to play an active role in the success of Great Parks. For additional information, please visit GreatParksForever.org.